Those are the famous lines from a famous old school band in the Philippines who continues to create a great impact in the music industry despite having disbanded many years ago. With that huge success and influence, how do you solidify a legend? Through a musical, of course. That’s exactly what Resorts World Manila and Full House Theater Company did. 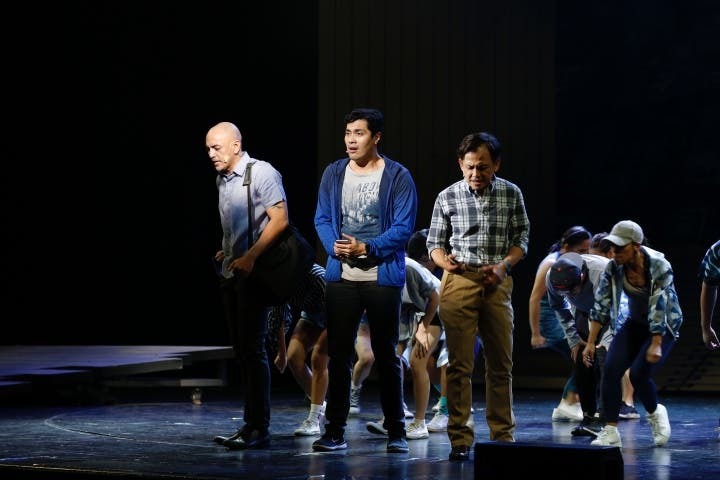 They created a musical that pays tribute to one of the greatest Filipino bands out there. For me, their show is more than just a tribute, though. There’s more to it than meets the eye. Ang Huling El Bimbo follows the story of four friends: Emman, Anthony, Hector, and Joy. 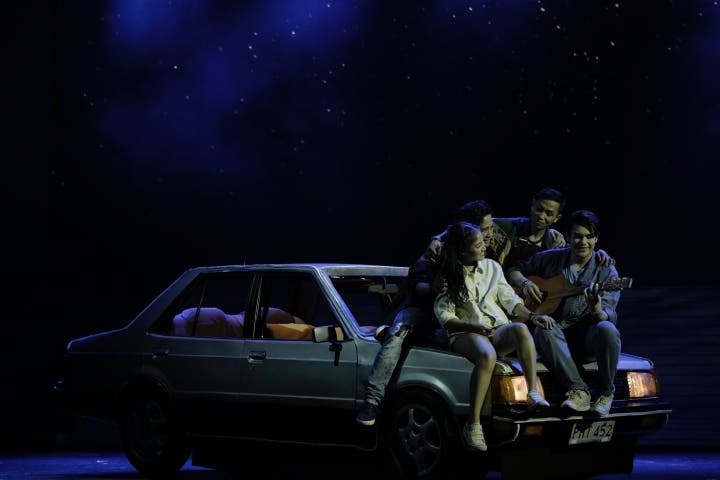 Set in two generations, the adventure of this barkada is a journey that teaches its audience how each and every decision we make can lead to different paths and consequences that we have to face and take responsibility for. The whole show really made a huge impact on me. See, I basically grew up listening to Eraserheads songs. They are my ultimate favorite OPM band. I know the lyrics to the majority of their songs by heart – and not just the famous ones, either; but the underrated songs, too. I’m pretty sure a lot of Filipinos feel the same way. They’ve been part of pop culture way before I was even born, after all, and their influence on the music industry has been great. Knowing that there is a musical based on their songs made my heart beat a little faster. I was so excited to watch it. The show opened with so much conflict and mystery that even the characters seemed to be confused about the events that were going on. The first scene was a shock and a riddle to us, and I asked myself: where will this show take us? 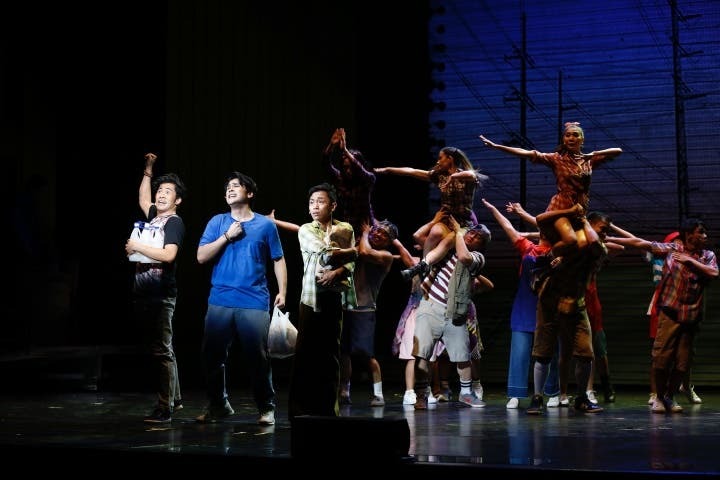 The promotional materials and videos of the musical made it seem fun, light, and exciting – like an adventure that I was more than ready to join. However, the actual opening proved to be the exact opposite of that. It was heavy and mind-boggling. 30 minutes into the show, I was transported to a completely different era and atmosphere where everyone was dancing, singing and laughing. Funny lines were thrown at us and we couldn’t stop giggling at Anthony’s wit. One hour in and we were drawn to Anthony’s charm and Hector’s innocence. The show was basically a whirlwind of feelings. The happy-go-lucky barrio lass Joy captivated the hearts of the audience, by the way. She lured us into a fairytale-like adventure that kept us glued to out seats with our eyes focused on the stage. It was a happy story up until that shocking ending of the first act. Everyone was dumbfounded and no one dared to move for a few seconds even if we had the luxury of a 15-minute break. I didn’t go out or even leave my seat because I was trying to digest what had just happened in front of me. I was pretty sure that the next act wouldn’t be as fun as the first one. 15 minutes later, the cast was back and the show was on again. I was right in my assumption. The second act definitely wasn’t as fun as the first one. Everything happened in a flash right in front of me. The next thing I knew, I was crying inside the Newport Theater along with the hundreds of people who watched the show with me. They broke my heart. They broke everyone’s hearts. The show was so good that the ending turned out to be such a heartbreak. We didn’t want to leave our seats. Right after the last production number, every single person in the audience got up and gave the cast a standing ovation. I usually never stand up for a show, no matter how good the other people in that show think it is. This time, though, they actually deserved an effort from us to stand up and show them our appreciation. The whole theater went wild, but I felt sad because I knew all of the stories had come to an end. Also, this is not the end that I wanted. It broke my heart and pretty much everyone else’s. After the show, I went out with a heavy heart and a lot of questions in mind. There are a lot of possibilities that could’ve happened in that story. It didn’t have to end that way. Everyone deserves a happy ending. Still, that is the beauty of Ang Huling El Bimbo. It will leave you satisfied yet begging for more. It will teach you to let go and accept whatever happens inside that theater. No matter how many questions are left unanswered, there are things better left unsaid. It was a bittersweet ending. I would’ve loved to go with Emman, Anthony, Hector, and Joy on their journey again. 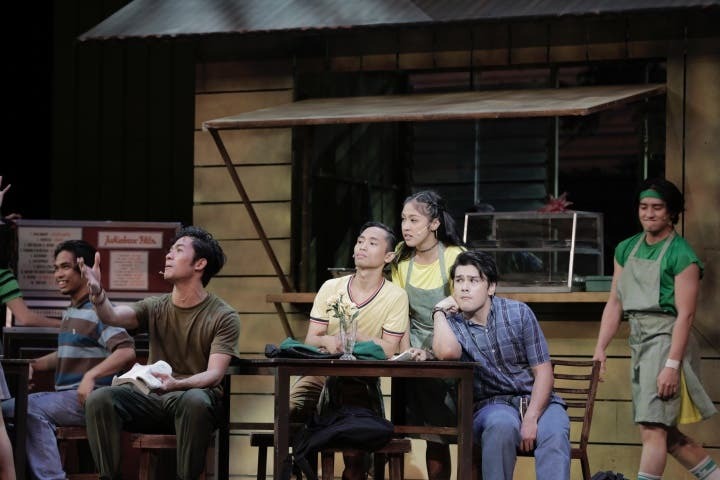 Here are my final thoughts before I end this article: If you want to witness a world-class performance made by our own fellow Filipinos, watch this show. 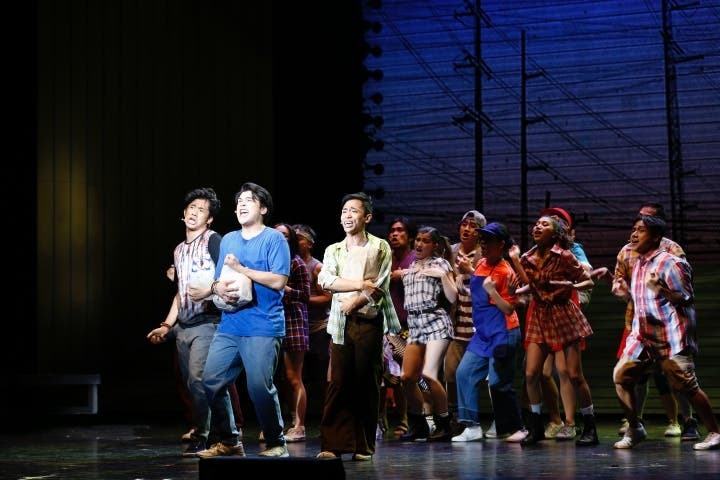 Ang Huling El Bimbo definitely gives the international musical shows a run for their money. 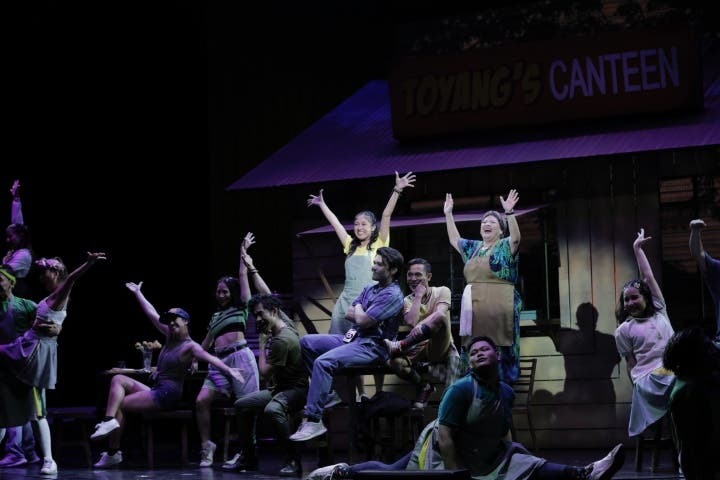 Catch Ang Huling El Bimbo while it lasts in Newport Performing Arts Theater every Thursday to Sunday at 8PM, with matinees every Saturday and Sunday at 3PM.